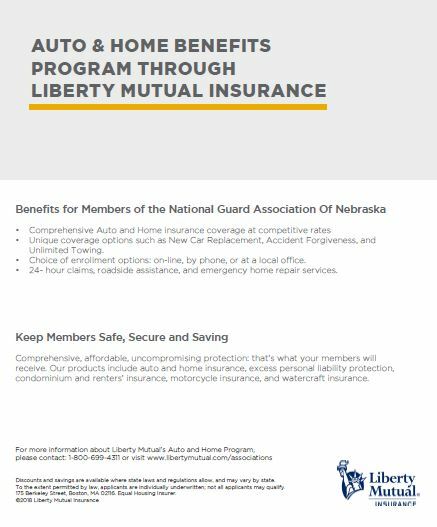 Description: Please join us for the 2019 National Guard Association of Nebraska Conference. This year's conference will be held at The Lincoln Marriott Cornhusker Hotel in Lincoln, NE. The conference will begin on February 22nd with Hospitality Night located in the Hawthorne Room from 1630-1915. The Hospitality Night will be hosted by various Nebraska National Guard Commands with the theme of "General Thayer Cocktail Classic" where you will be able to sample and vote for the signature drink that will be served at the National Guard Association National Conference later this year. On February 23rd, the Business Meeting will begin with registration at 0730-0800 and the Business Meeting will occur at 0800-1330 in the Lancaster Ball Room. The cost for both events is $25 which includes the Hospitality Night, light breakfast and lunch during the Business Meeting. If you are only able to attend the Hospitality Night this event is free to Association Members (Officer/Enlisted/Retiree) or $10 if you are not a member. Register for both the Hospitality Night and Social at the link below.